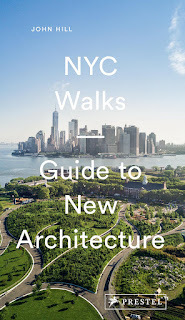 As an extension of its exhibition, MILLENNIUM: Lower Manhattan in the 1990s, the Skyscraper Museum has launched an update of Heritage Trails New York, a "digital reconstruction [of] a landmark public history project focused on lower Manhattan of the mid-1990s." The "Digital Trail" uses the original Van Dam Heritage Trails map (above) and then places the original entries (below left) and updated entries (below right) next to the map. The interactive page illustrates the changes that happened in Lower Manhattan in a relatively short amount of time – a period marked by the destruction of September 11 and the area's subsequent recovery, as well as more and more people moving into the area. 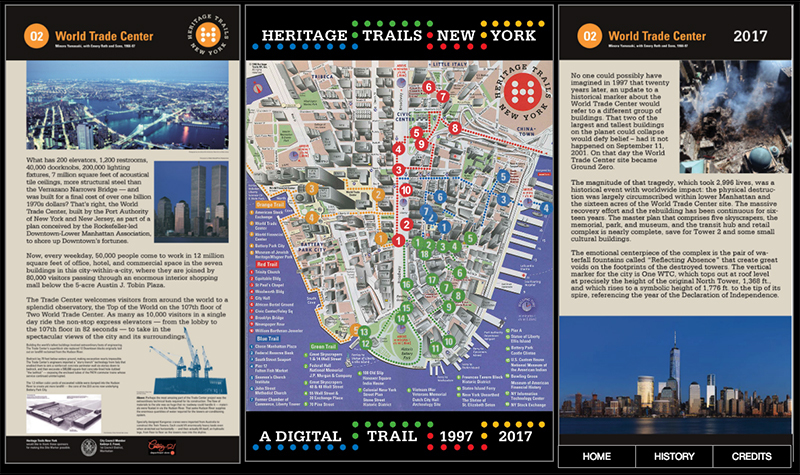 In addition to the interactive map, which works on mobile devices but is best seen on laptops and other large screens, the Skyscraper Museum created a Heritage Trails Archive. The latter is necessary, given how the physical markers spread about the area (below) have been modified and/or removed since 2000. As the archive describes it: "History is rewritten often, both by historians and by subsequent events. 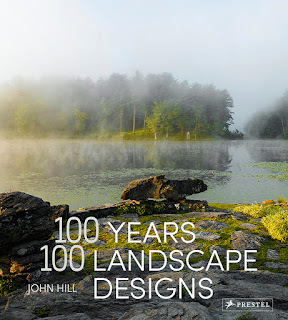 The brief life of Heritage Trails New York, though, was surprisingly short-lived given the considerable energy, talent, and funds expended on it." 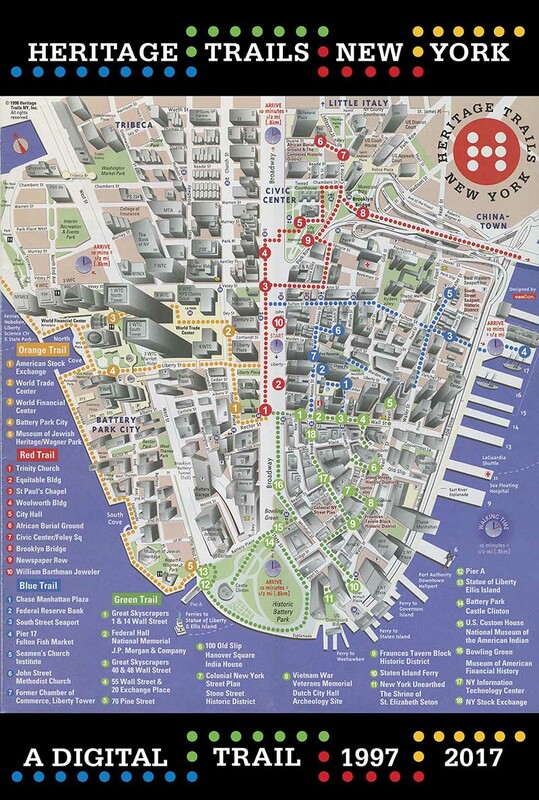 That energy is regained with the equally large effort to update the map entries, digitize it, and make it available for for the smartphone-wielding throngs descending on Lower Manhattan.